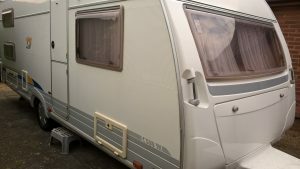 Building on our experience and knowledge in the formulation of high specification cleaning products we are pleased to offer a range of cleaners, dressings and janitorial products specifically for the requirements of caravans and motorhomes. Given the range of materials used in the manufacture of these vehicles, standard car products are not always the best option and these products have been selected to give great performance without damaging sensitive surfaces such as aluminium, glass fibre, GRP, plastics and polycarbonates. This improved material compatibility allows the user to replace a vast range of traditional products with a smaller number of multi-purpose cleaners and dressings reducing cost and complexity without compromising performance. Blue waste tank concentrate to reduce odours and gas build up. Helps break down toilet paper and waste matter. Pink floral fragrant cleaner concentrate, keeps toilet bowls clean and fresh smelling. A specially formulated non-caustic cleaning concentrate for use with pressure washing equipment. Powerful cleaning with a high gloss wax finish. Designed for use on painted metals, GRP, plastics, fibreglass and aluminium bodywork, great for black-streak removal and safe for use on exterior textiles such as awnings. Extremely concentrated detergent blend for hand washing of caravans and motorhomes, will not damage sensitive materials, great foam and streak-free rinsing. Our high-tech premium wash & wax shampoo, gives a superb clean with an amazing water-repellent finish, leaves a high gloss and even helps to reduce dirt build up between washes. Compatible with GRP, aluminium and polycarbonate. A strong acid and detergent blend with added corrosion inhibitors, cleans the dirtiest wheels rapidly without attacking the metal components, unlike many of the other alternatives on the market. A non-acidic and non-corrosive but powerful alloy wheel cleaner. Alloy Gleam uses a combination of detergents and stain removers in an alkaline formulation to remove grease, brake dust, dirt and road film without corroding parts or damaging paintwork. Gives fantastic cleaning performance without the extreme hazards associated with the strongly acidic or caustic cleaners commonly used. Ultra High gloss premium long-life silicone-based rubber and plastic dressing, gives a long lasting high gloss shine to tyres, mudflaps and plastics. Special non-flammable formulation means this is also suitable for engine bay dressing. Versatile silicone dressing gel, gives a long-lasting shine and water-repellent finish to all plastics. Solvent-free formulation makes it suitable for interior and exterior plastics and it also works great as a tyre dressing. Light gel formulation makes it easy to apply without drips and runs. Astoundingly versatile multi-purpose cleaner concentrate. Highly dilutable and very economical in use. AP2001 can be used on hard surfaces including stainless steel, painted metals, fibreglass, plastics, vinyl and rubber and also on fabrics such as vehicle upholstery, headlining and carpets. Also works well for Black-Streak removal from caravans and motorhomes. Silicone based multi-purpose cleaner and dressing with a pleasant blueberry fragrance. Spray on and wipe off to remove dust and dirt and leave a high-gloss water-repellent finish. For cleaning and polishing furniture, dashboards and interior plastic trim. Can also be used to dress engine-bay plastics. A combined cleaner and polish with countless uses. Great for waterless cleaning of caravan and motorhome exteriors but can also be used for cleaning and polishing furniture, dashboards and interior trim. A polymer-enhanced formula, containing a superior blend of hard waxes to give a deep gloss, showroom finish. Detergent resistant with an extremely long lasting shine. Can be used on painted metals, gelcoat, GRP, stainless steel, chrome and aluminium. A highly effective streak-free and quick drying spray glass cleaner, great for removing road grime, bugs and tree sap from automotive glass and for the cleaning of dirt and grime from virtually any glass surface. Also suitable for use on transparent plastics, chromium, steel, laminates and ceramic tiles. A highly concentrated screenwash fluid for great cleaning and frost protection. A special non-flammable formulation to remove the fire risk when storing and handling. Ultra-concentrated Fresh Floral Air freshener. Can be diluted up to 1 part concentrate to 40 parts water before application. Safe on fabrics and textiles. Highly concentrated dry-foam detergent, formulated for use on upholstery and carpets, simply brush or sponge in then vacuum off. Great for regular cleaning and also for stain removal. Spray or sponge on to most fabrics to leave an invisible water-resistant coating. Helps reduce dirt build up keeping fabrics clean. Extremely rich blend of waxes and oils for leather care. Cleans and feeds, leaving leather supple. Leather perfumed for that new car smell.